Most people have their own chilli recipe and it’s one of the things which it’s really fun to experiment with. 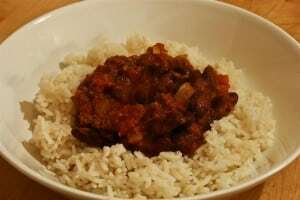 It’s commonly made with minced beef, but a number of people make it with chunks of meat too which gives it al altogether more substantial texture. 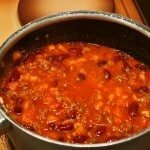 In case you’ve never tried making a chilli before, this is a great “base” recipe which you can build on with time. 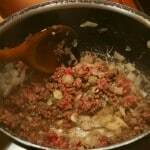 a hot stove and then fry gently until light golden. 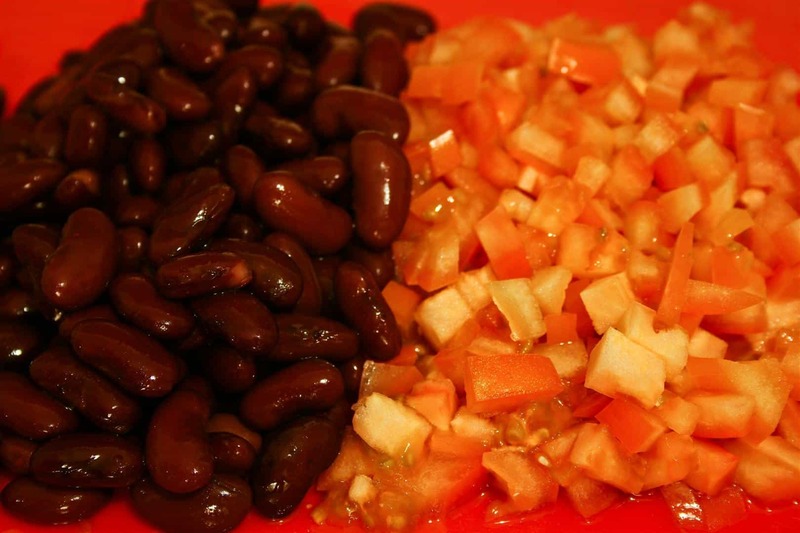 While you’re frying the onion chop the tomato finely and open up and rinse the kidney beans. 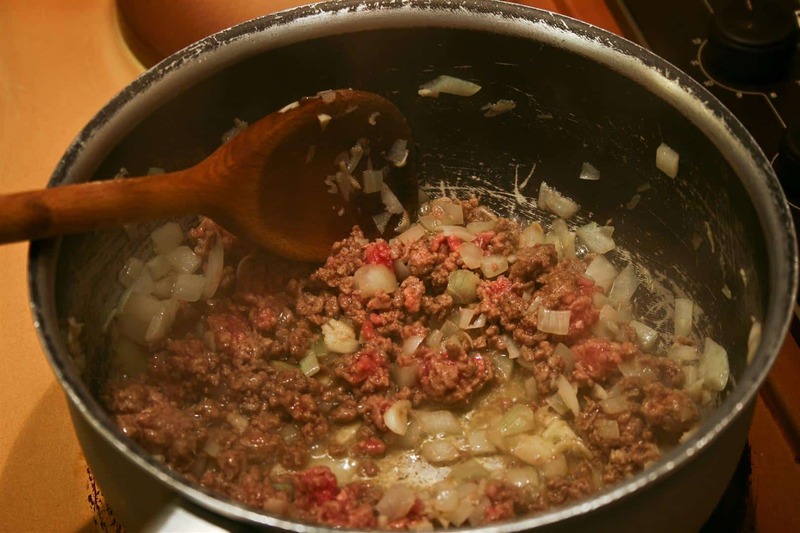 When the onion is ready, add in the minced meat and continue frying, stirring regularly, until the meat is browned. 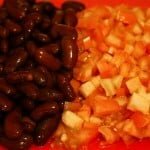 Add in the can of tomatoes, chopped fresh tomatos, kidney beans, cayenne pepper, cumin, and a good twist of freshly ground salt and pepper. 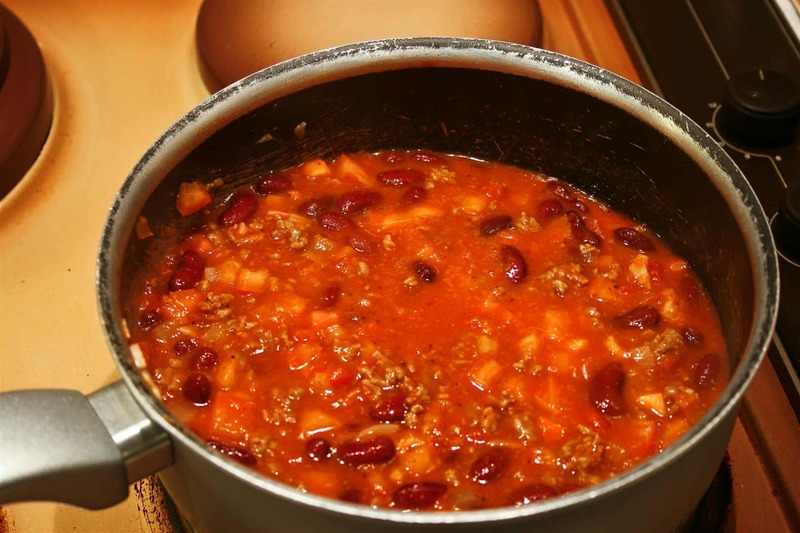 You may want to add the cayenne pepper and cumin in increments, tasting the sauce from time to time to ensure it’s not too spicy – or not spicy enough! 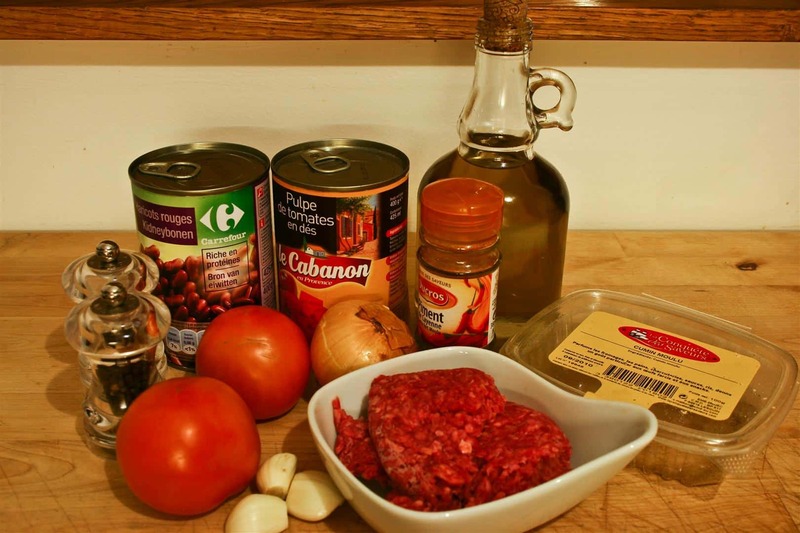 You may find the sauce has a little too much liquid from the tinned tomatoes, like in the photo to the right. If so, simmer the sauce, stirring regularly until the tomato has reduced somewhat and the sauce has thickened up a little.